In 1965, American sculptor Claes Oldenburg proposed an object of quite unforgettable brute simplicity for New York City. Oldenburg may be best known today for his cuddly "soft sculptures" and monumental pop-art reproductions of everyday objects, but this was neither cuddly nor pop. The future as shown to us by science fictions is almost always shiny. Whether in aspirational daydreams or depictions of dystopia, the vision continues to be one of gleaming metal, stark white interiors, and of course many more robots. Giant collection of fishing nets, plastic containers and other discarded items called a ‘ticking time bomb’ as large items crumble into micro plastics 13.02 EDT Last modified on Tuesday 4 October 2016 13. The dark web—the portion of the deep web only accessible through specific software—exists to serve the needs of hackers-for-hire, hitmen, internet drug kingpins, child pornographers, and their inevitable customers. That’s the public consensus. Then there’s the counter-narrative. It’s important to photograph the hermit crabs in their natural habitat. I prefer to photograph them using a wide angle lens to achieve a unique perspective. Hermit crab in a glass bottle- Yomitan, Okinawa. More than five years after the devastating tsunami and the 8.9-magnitude earthquake struck north-eastern Japan, causing the explosion of the nuclear power plant in Fukushima, the Japanese town remains abandoned. Since April 22, 2011, an area within 20km (12. Accelerationist ArtDespite its image of rapid technological change, progress under capitalism has stalled. Spinning ever faster is not the same as going somewhere. 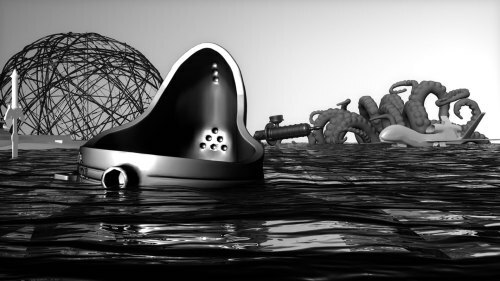 Contemporary Accelerationism wants to take off the brakes, and it is enlisting art’s help to do so……Morehshin Allahyari & Daniel Rourke have produced the Additivist Manifesto for art in the Anthropocene (the video for it features the “Urinal” 3D printable model I commissioned from Chris Webber). 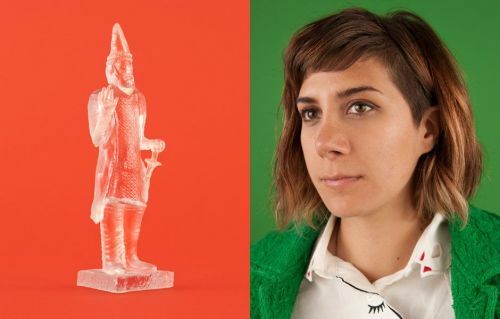 They “…call for you to accelerate the 3D printer and other technologies to their absolute limits and beyond into the realm of the speculative, the provocative and the weird”. This is the kind of acceleration through (and into) art that works as both epistemic and left accelerationism without merely illustrating the program of or being instrumentalised by either. It is accelerated critical theory. »Wir haben die Möglichkeit, Dinge auferstehen zu lassen« Warum tut es vielen Menschen fast körperlich weh zu sehen, wie Terroristen auf Statuen mit dem Vorschlaghammer einhauen? Weil diese Kunstwerke die Geschichte und Kultur von 3000 Jahren Zivilisation repräsentieren. In the Southern Ocean, surrounding Antarctica, blue whales were nearly wiped out by industrial whaling from the 1920s to 1940s. But now, with whaling curtailed, the whales are surging back: their population growing by 7.3 percent per year.